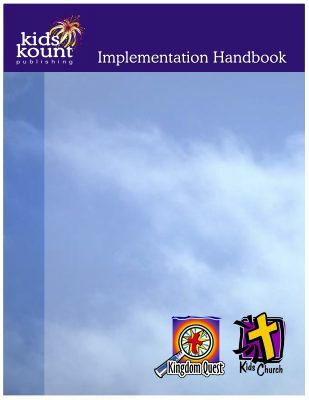 This easy-to-navigate handbook will help you implement, launch, and administer Kingdom Quest and Kids Church in different types of church settings. Use the 8-week countdown to Opening Sunday and cover all the bases. Skill Builder Videos address your practical training for the various ministry roles. It’s helpful for volunteers to think in terms of specializing in ministry. Volunteers can even watch at home online. Workshop Videos accompanying notes will also help educate your volunteers and leaders. “Wow to Aha” (Video and Handout) is a 40-minute video explaining the principles behind Kingdom Quest while demonstrating examples of activities from the curriculum. “Children’s Ministry in a New Wineskin” (Video and Handout), is a 16-minute video which explains the differences between the old model of Sunday school and Kingdom Quest. Both these videos would be perfect to use during volunteer orientation, providing excellent foundational training in under an hour.